Salsa, as easy as 1, 2, 3! Here’s my wife’s take on salsa. Her hobbies are edible, unlike mine. 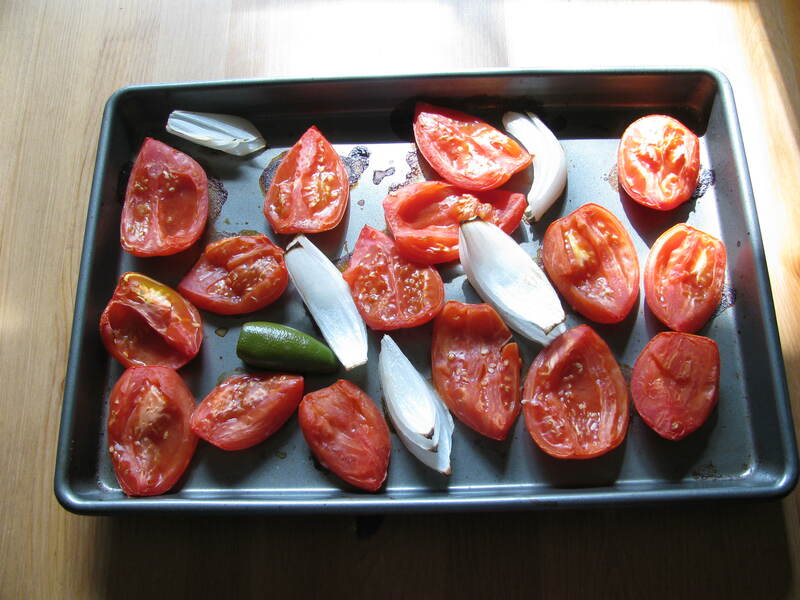 I grew up eating my mom’s fresh salsa, or “pico de gallo,” which I eventually started making myself. Later, though I wanted to venture out, and after discovering the wonderfulness that is roasted tomatoes, made some roasted salsa. Amazingly, it came out great the first time, although I did learn some tricks to make it better with further trials. I used basically the same ingredients as the pico, except most of them are roasted. 1. 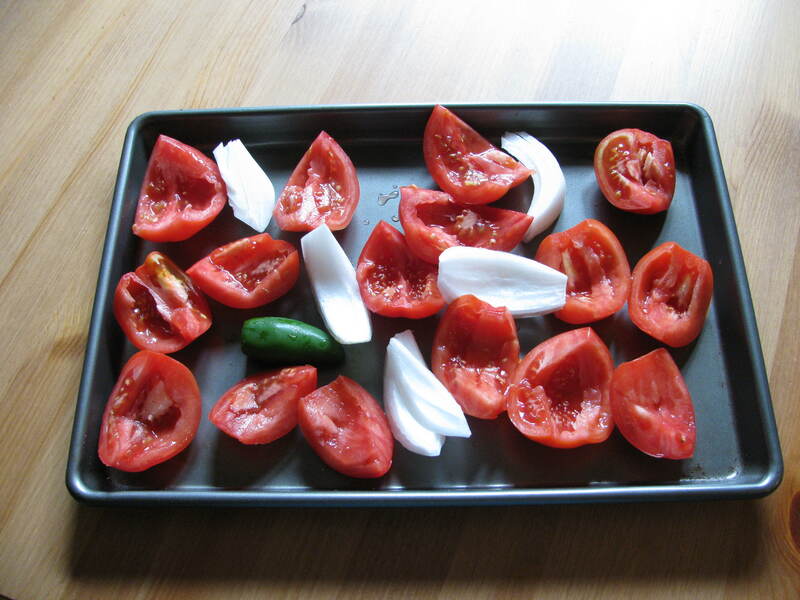 Gather/cut the ingredients: here I have cored tomatoes, jalapeno, and onion. Note, I left the pieces pretty big because I don’t want them to burn. Best part about doing in the summer, it could be really fresh and local. 2. Next, roast those ingredients. I think I did it at 400F for about 20-30 minutes.